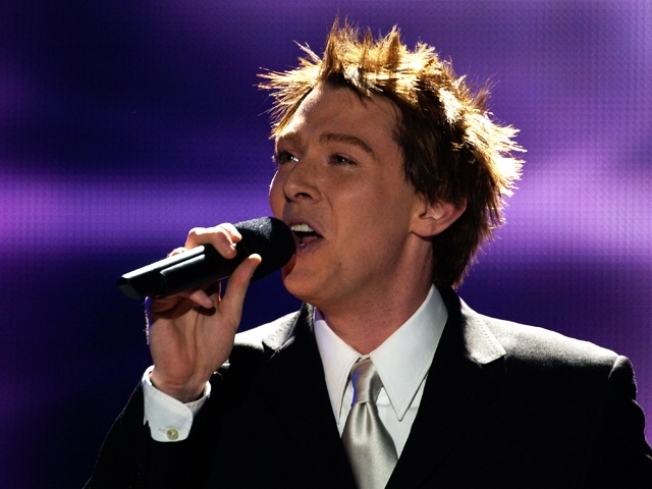 Clay Aiken, his hair, and Ruben Studdard crowd Hammerstein Ballroom tonight. TWOFER DELUXE: American Idol has undergone plenty of sea changes since the Velvet Teddy Bear vanquished Claiken (only to watch the runner-up smash him in record sales), but no amount of Paula-Ellen-Simon drama could take away the feelgood cheese-ola vibes surrounding the Clay Aiken/Ruben Studdard reunion tour, which alights at Hammerstein Ballroom tonight.8PM. FROM HOLLYWOOD, ALMOST LIVE: The first-ever Gong Show Live happens at B.B. King’s tonight, and just like with the 1970s camp classic, there’s no way to know whether acts will be brilliant or gong-able, but we do know the organizers—who began auditioning acts of all stripes for the project months ago--are committed to upholding the “unpredictable, deranged and magnificent” appeal of the television show. Chuck Barris would be proud. 8PM. EAT RESPONSIBLY: Jerusha Klemperer of Slow Food USA hosts a discussion at the New YorkBotanical Garden centered on food culture and how to shape it with every morsel we choose. The David Grossman Trio will be on hand with live jazz at the Food for Thought event, part of the Edible Garden series running through October 17. 6-9PM.